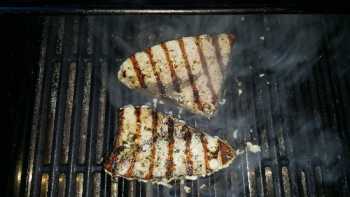 Heat your grill to a medium-high heat (around 300 - 350 degrees). 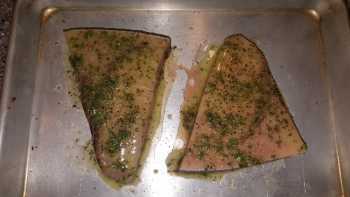 Whisk together the olive oil, lemon juice, basil, salt and garlic pepper in a small bowl. 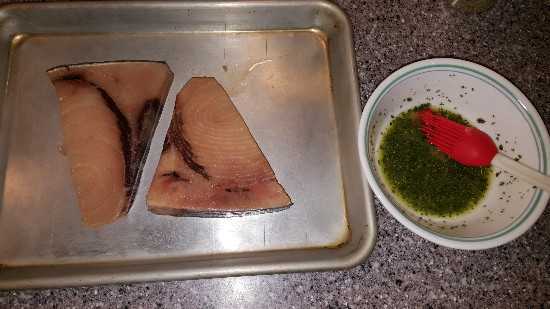 Brush your oil mixture over both sides of the swordfish steaks reserving some for later. 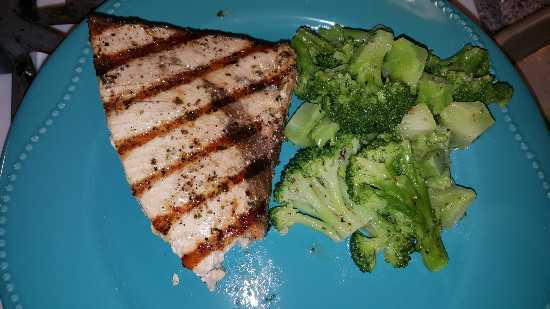 Grill your swordfish steaks for 3 - 4 minutes per side (3 minutes is probably enough unless they are over 3/4 inch thick) Or until cooked through. Before serving, brush your steaks with the remaining oil mixture.